How Do I List All Of The URL’s I Have indexed In Google? I was asked the other day, ‘Nigel, how do I make a list of all the URL’s I am ranking for?’ so I set about finding out. This is with great thanks to Chirs Ainsworth who I will link to below. If you click on the Search Settings once you have completed the search then a window pops up. This will allow you to change the URLs displayed from 10 to 100 search results! who knew? In this way it is much easier to view the 100 results by simply scrolling through the results instead of click next 10, next 10 etc. How many times have you been presented with the ‘I am not a robot’ box, where you have to click on photos of storefronts, cars and traffic lights?! Me? plenty! Once this is done you can then make the job even easier by increasing this even further. For this we use Ginfinity. Search ‘Ginfinity‘ in Google then add the plugin to chrome. Refresh the browser to get it working for you. This will list all of the URLs which your website is ranking for in an infinite scroll. See how it lists page 2, page 3 etc. 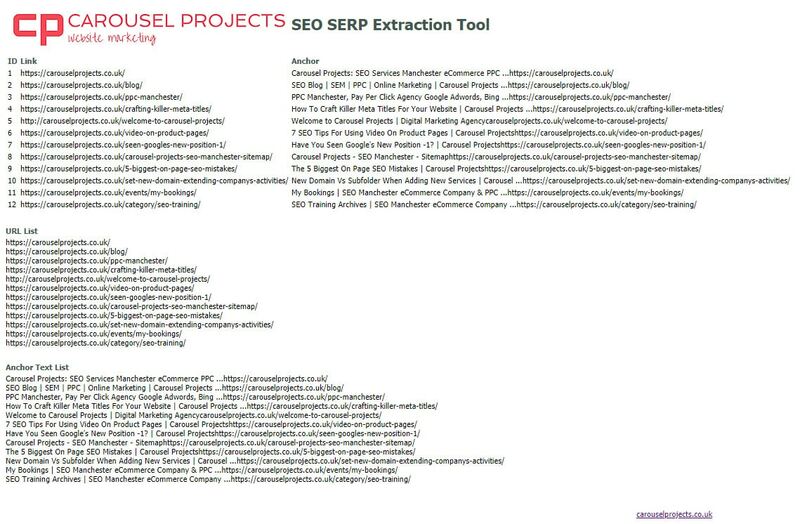 Once you have all of these URLs listed you will need a way of downloading them so they can be analysed. The simple way, of course, is to right click, then save them to an Excel spreadsheet. If you have large sites with a few hundred URLs then you are going to be there a very long time. Far better to use this little trick. Simply Drag this to your bookmark bar! 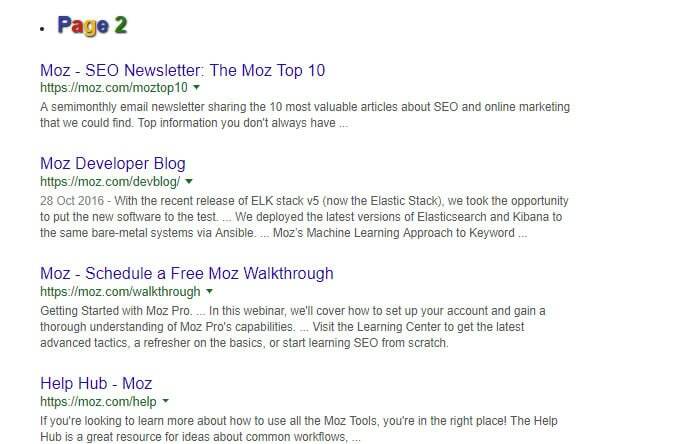 Just drag the “Google SERPs Extractor” bookmarklet text to your Bookmarks toolbar. That’s right drag it up and you will see it will instantly plop itself in the middle of the bookmark bar. Once you have done that simply click the bookmark while you have the list of URLs open from search results. You will instantly be taken to a page on our website with a full list of all of the URLs and the anchors. It’s better than brilliant! 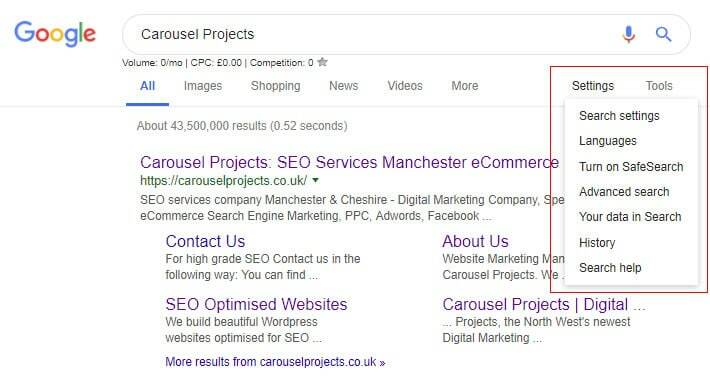 This is a shortened search we did on Carousel Project where you could now copy the URLs and drop them into Excel. Please bear in mind that Google is changing its criteria all the time, but right now this tool works like a dream! Any questions? please leave them in the comments below! Thanks Raj – Edited – much appreciated! Thank you so much for this method.